Residents are encouraged to participate in regular trips and excursions, including visits to local attractions and shopping trips in addition to simply taking a walk along the seafront to enjoy the magnificent view. We feel that the Families and Friends of Residents still have an important role to play in their lives and they are welcomed and actively encouraged to visit at any time of the day. 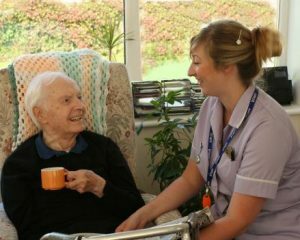 They are personally invited to social functions and can join their loved ones at meal times which further fosters the ‘home from home’ atmosphere that we are very proud of and actively maintain.